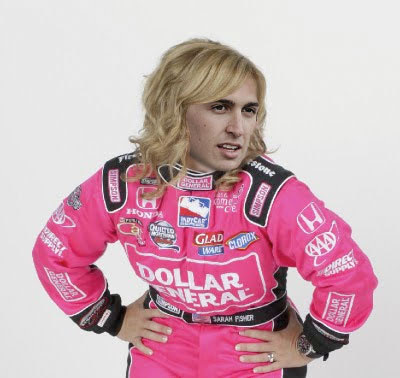 My Name Is IRL: Graham Rahal is saved! All I can say is WOW! I did NOT see this coming. When I saw the news in an email alert, I went "WHAT?!" But it is a good thing. This is why Sarah Fisher is so highly regarded by IndyCar fans. She knows she isn't a great road racer, so she's willing to abdicate her seat to someone who is. My respect for Sarah just went up 1,000 points. Okay that picture is seriously wrong. I think i would rather watch the Danica Boost Mobile commercial. Good for Graham, and hopefully good for Sara.